alaTest has collected and analyzed 194 reviews of Lenovo Ideapad Y700-17. The average rating for this product is 3.6/5, compared to an average rating of 4.1/5 for other products in the same category for all reviews. Reviews about the portability and durability are on the whole positive. The battery and price also get good feedback, but opinions about the touchpad and keyboard are mixed. We analyzed user and expert ratings, product age and more factors. Compared to other products in the same category the Lenovo Ideapad Y700-17 is awarded an overall alaScore™ of 89/100 = Very good quality. Lenovo's 15-inch Ideapad Y700 Touch might not be an obvious choice if you're in the market for a midrange gaming laptop, but with superb battery life and good performance and features for the price, it should be on your short list. Terrific battery life. Good performance, features for the price. Decent amount of storage. Video card may soon be obsolete. No USB-C port. Nice price. Fast performance. Plenty of storage, including a solid-state boot drive. Impressive sound system. Keyboard is small and awkwardly situated. Lenovo's Y-series gaming laptops get new CPUs, plus gamer-centric accessories. 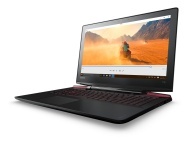 Mediocre display; Lackluster graphics power; Poor battery life ; Rear vents can get pretty hot ; Starting at just $700, Lenovo's Y700 lowers the barrier to mobile gaming with its 14-inch notebook, but the display and battery life could use improvement. The Lenovo Y700 offers an affordable way to game on the go, along with a bright screen, potent speakers and a speedy CPU. There's a lot to like in a big laptop, especially if it's big on processing power. The Lenovo ideapad Y700 fits that bill with a Core i7 and dedicated Nvidia GPU. But what about build, display, battery, and other elements that make for a great machine?